Welcome to another Thursday and The project Share Project where I get to showcase projects made by some of my crafty friends. I have four fabulous projects for you today. First up today in Verity of who blogs at Inky Butterfly. 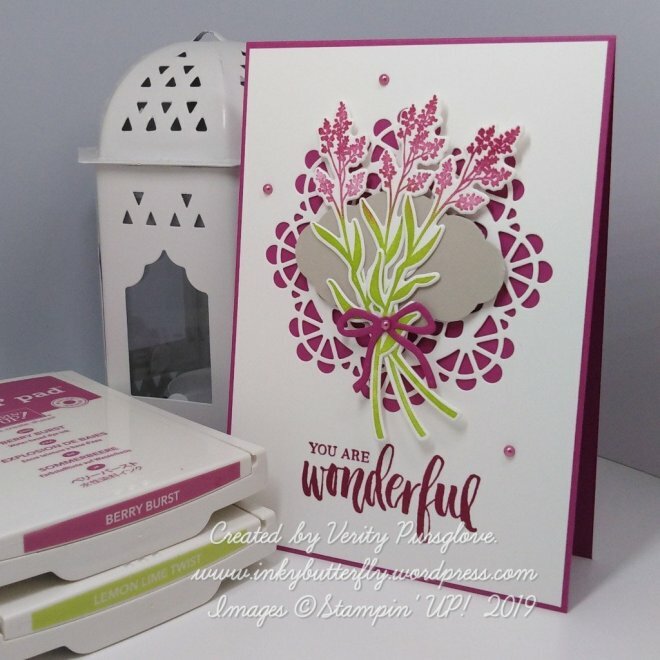 Verity has used the Dear Doily bundle to make this lovely card - which incidentally uses two of the 2017-2019 In Colors which will be leaving us very soon - Lemon Lime Twist and Berry Burst. Read more about Verity's project by clicking HERE. Next is Gez who blogs at Nigezza Creates. A couple of weeks ago Gez used a sheet of our Delightfully Detailed Laser Cut paper to make a gorgeous set of card. She sponged the paper and was left with a stencilled sheet - and this is what she used it for! How fab is that?- a beautiful folder contaning a lovely set of handmade cards. Read more about Gez's project by clicking HERE. 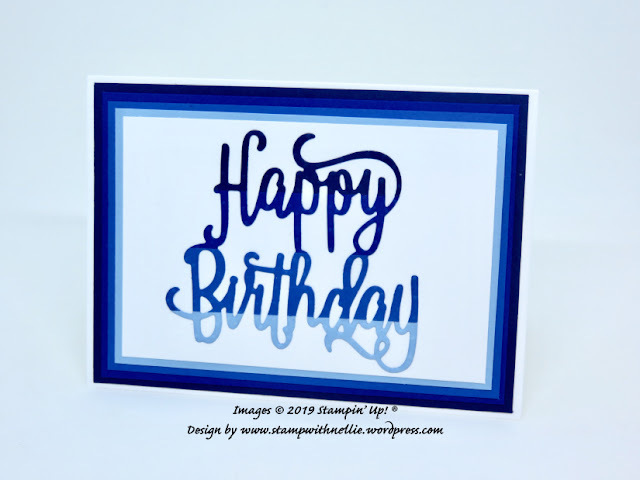 And then we have Heather, who blogs at StampwithNellie, and has made this lovely ombre effect card - which could be suitable for any of the men in your family. Read more about Heather's card by clicking HERE. And lastly for today is Helzie, who blogs at Slimm and Stylish. Helzie has been using the Pop of Petals stamp set and markers to make this lovely card. Read more about Helzie's card by clicking HERE. And there we are, another week's Project Share done and dusted!